"Sing with the voice you have, train to GET the voice you want." Brett Manning is one of the music industry’s most sought after vocal coaches. Brett has had the privilege of working with many of today’s top recording artists such as: Leona Lewis, Hayley Williams, Jimmy Gnecco, Taylor Swift, John Michael Montgomery, Luke Bryan, Lauren Mayberry (CHVRCHES), Keith Urban, Mikky Ekko, Miley Cyrus, and the list goes on. Brett has also worked with the casts of Broadway productions of Les Miserables and Jekyll and Hyde, as well as the Broadway tour of Elton John’s Aida. Brett was born on April 27, 1966 in Grants Pass, Oregon. At a young age Brett discovered his love for music and singing and later went on to study musical theatre and voice at the University of Utah. It was during this time that Brett realized that his voice was lacking the vocal range and power that he needed to land those leading roles which he had so long desired.Frustrated by this fact, in desperation to learn how to sing better, Brett started taking voice lessons from various private voice teachers. Even so, to his dismay, he saw very little progress after taking countless vocal lessons. Discouraged, but not deterred, Brett was more determined than ever to improve his singing voice. It was for this reason that he began his quest for knowledge researching how the voice truly works. Brett spent the next few years seeking out and working with some of the world’s top voice teacher’s, researching as many vocal theories as possible. His knowledge and understanding of the voice grew increasingly and not only ignited his passion for teaching, it inspired him to develop his own vocal training method of priceless vocal techniques which finally produced the results that he had so long desired. This new found knowledge ultimately inspired his passion to teach other singers the voice methods which had taken him years to discover so that they could avoid the frustration which he had experienced in learning how to developing his own voice. In 1992, Brett opened his first vocal training studio in Salt Lake City, Utah. It was after only a few short years of teaching that Brett became the most sought after voice coach in the region, mostly because of the incredible results his students experienced in just a short period of time. Brett’s teaching career stimulated his continual pursuit of knowledge of the singing voice, and through years of research and experimentation, he developed many of his own new vocal exercises and voice techniques. To contain his vast knowledge of the voice, Brett began writing down the script that would eventually become the world’s most successful vocal training course, The Singing Success Program. And as they say, The rest is History.In 1997 Brett opened his first vocal training studio to Nashville, TN. In 2007, he officially founded “Brett Manning Studios” where he began training and certifying international vocal coaches in his “Singing Success” methodology. With now close to 50 Associate vocal coaches (BMAs) worldwide, Brett continues to teach along side a few hand-picked associates at his studio here in Nashville. Brett Manning Studios works with singers of all musical genres, experience, or skill. Brett has worked with recording artists from almost every major label including Capitol, Universal, Columbia, Atlantic, Gotee, Island Def Jam, Interscope, Provident, Lyric Street, Epic/Sony, Word, Embassy, Dreamworks, as well as countless independent record labels. 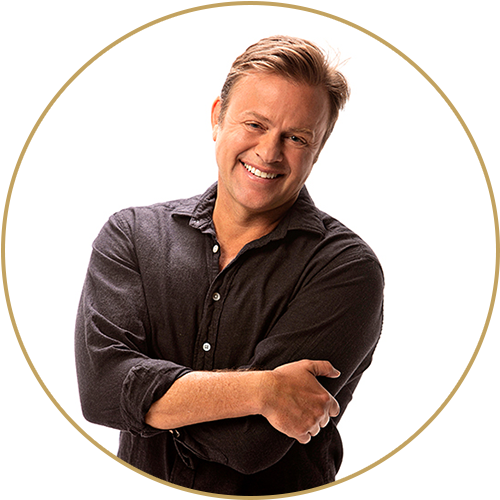 His client list contains winners of the world’s most prestigious vocal awards, including the Doves, the CMA Awards, and the GRAMMYS.Brett is known for his fun, encouraging demonstrations, showing how even brand new singers can experience immediate improvement in the range, ease, and quality of their voice. Unwilling to give up on his passion for teaching singers of every type, regardless of their skill level, geographical location, or professional aspirations. Brett has created a number of voice training programs to make his incredible teaching methods available to every singer, from anywhere in the world. The Singing Success method has helped hundreds of thousands of singers in over 164 countries around the world.